This post is really not about what I’m wearing at all. I just really wanted a chance to take some pretty pictures of me with my first true love. Thomas. 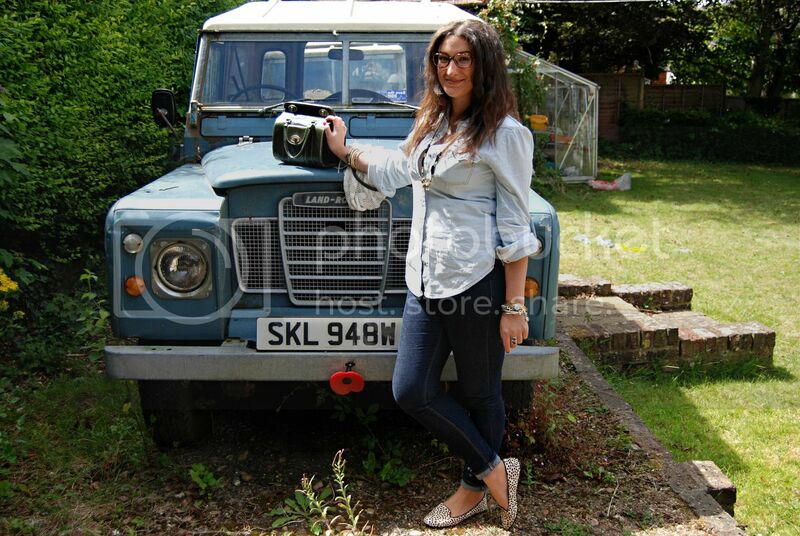 My series 3 1981 landrover. This car means a stupid amount to me, every rusting bolt! Not many of you will know this, but my sister and I adore old cars. Especially Landrovers! The more battered and noisy, the better (althought I wouldn’t say no to a classic Aston Martin convertable!) Our dad adored clunky old cars so we grew up with them, and then we learnt to drive them. This was my first car, given to me by my dad, and oh my it has given me some memories! The first time I drove it, I reversed into a tree stump! (The stump didn’t come off well in that one…) It took me and a ton of tents and beer to Reading festival a long while ago. I’ve had to jump start it down a hill in an empty car park at midnight when the battery failed after a work shift. I have spent a juddering 12hour trip to our place in France in the back of it. I drove to my leaver’s ball all dressed up in it and got looks of amusement from other drivers with my ball dress and full make-up behind the wheel. And paralell parking this car perfectly, with no power steering, with a bloke watching on the pavement, just waiting for me to fail, is still one of the best feelings of ‘ha! Showed you’ that I’ve ever had. I have spent many an hour tinkering on it, replacing bits and pieces, sourcing some fancy accessories (I use fancy in the very loosest sense of the term here!). Chatting over the car and fixing it up, were some of the best times my dad and I had together. And since my dad passed away 3 years ago, its only made the car feel even more special. Unfortunately Thomas has been offroad for about 4 years or so now- he broke down and I didn’t have the cash to fix him, then my parents parked a vintage camper in front of him, and now its just been too long. The work it needs doing has increased the longer its sat still, and I just can’t justify the money it would need. 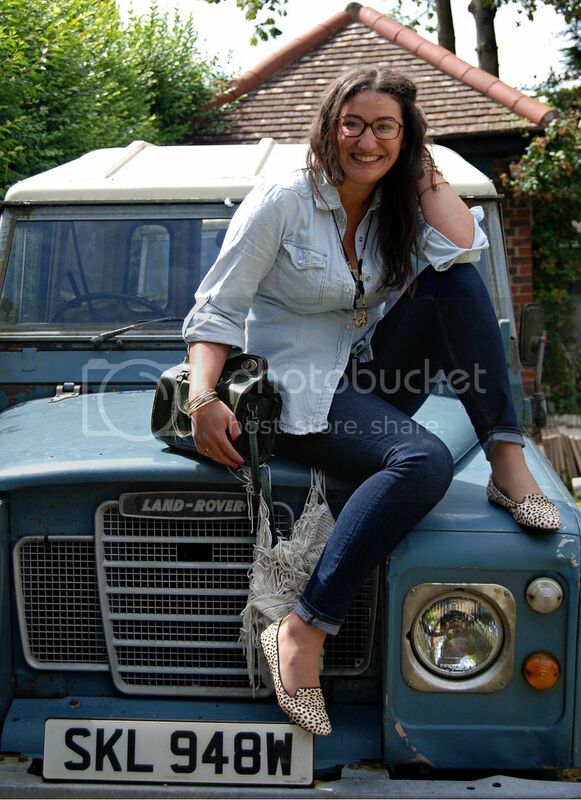 Especially as my sister’s landrover (Roxanne, in case you were wondering. She is very battered but has a particularly fetching red paint job) needs work too. We can’t spend the money on both of them, and Roxanne is the better bet. So I am saying goodbye to Thomas at the end of this summer. I wish so badly I could keep him, for the memory of my dad and for all the hard work I’ve already put into him, but it just can’t be. 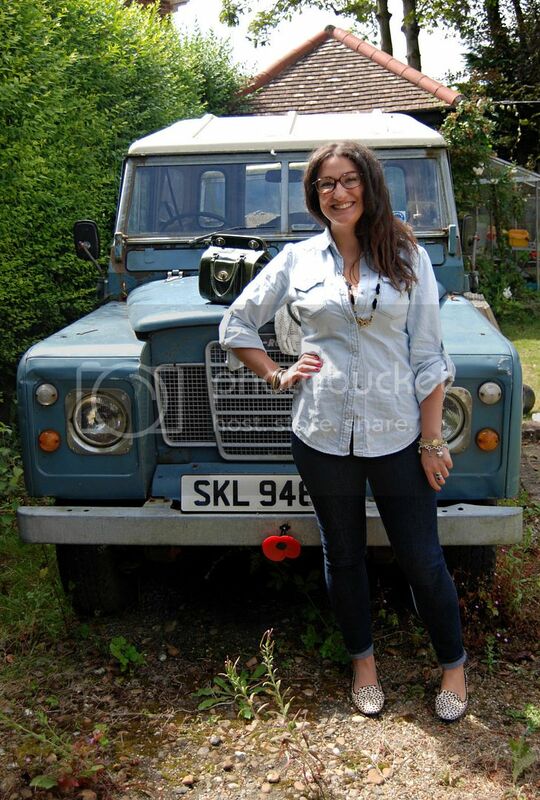 Instead, I’ll just have to have one of these photos framed, as a reminder of all the good memories, and to keep me motivated for my goal to save up for another beautiful, dented old landrover. And you never know, maybe my kids will get to use that one as a climbing frame whilst they grow up, and I can tell them stories of what their grandad taught me. Until then, the pictures will have to do. I’m away with my family out in the middle of nowhere in France with no internet connection so this is a scheduled post. It kind of made me a bit too sad to write and publish straight away, so being away and scheduling kind of makes it a little easier. I’ll be back soon though, so let me know any of your best car-related stories. They’ll make me smile!